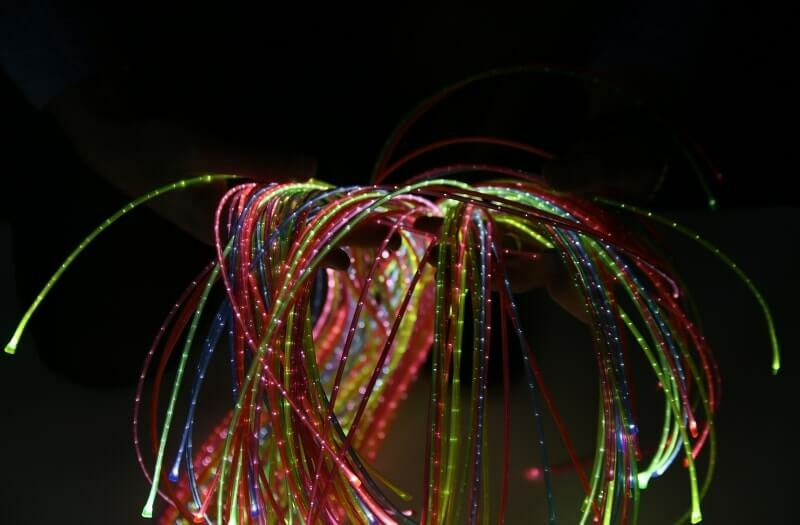 Rainbow Fibre Optic Lights are colourful strands of light that are fun and engaging for relaxing sensory experiences. Mixing blue, red, green, yellow, pink and purple all the colours of the rainbow. 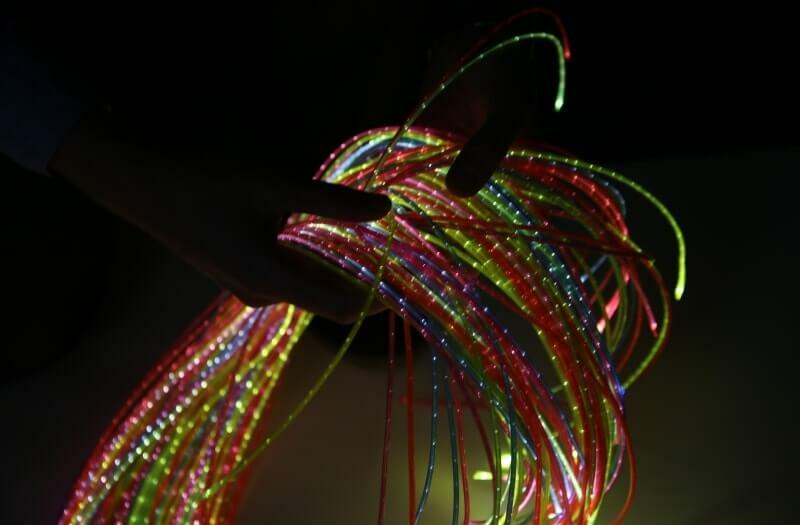 Using the strands in a sensory space is beneficial for the user as the variety of patterns and colours it displays will look great in any room. You can use the strands to brush on the body for touch sensory stimulation as well as gripping and pulling them for further touch stimulation. 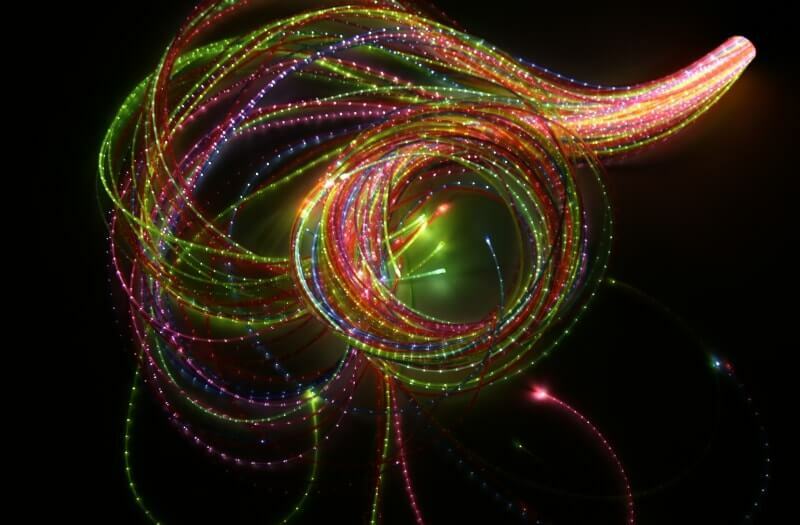 The Rainbow Fibre Optic Lights add extra vibrancy to any sensory room. Full of different colours and perfect for visual stimulation. 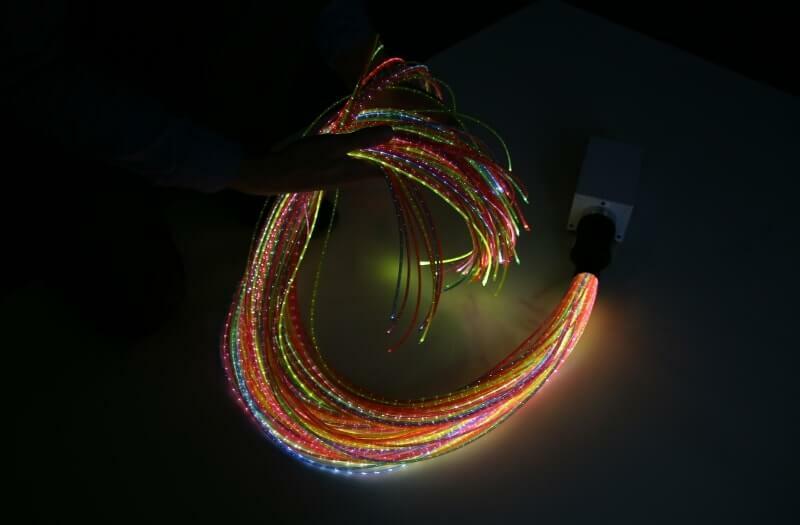 The colours are shone through a high-powered LED light that lights up the rainbow effect. 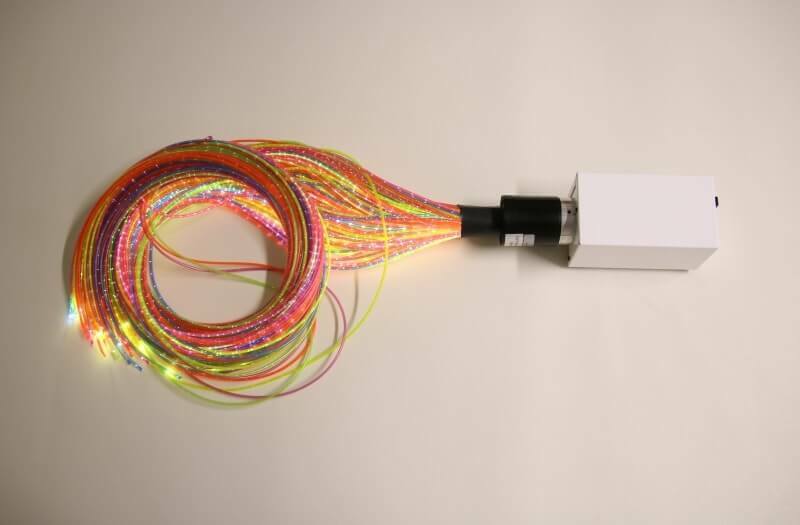 Fibre optic lights are ideal for using the brush technique, a technique that is widely used in sensory therapy to promote calmness and relaxation. 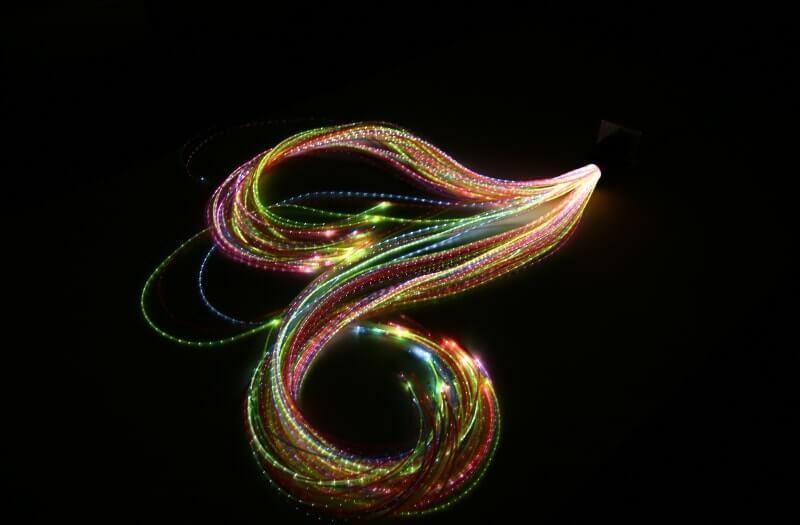 Choose from the mains powered or portable battery powered option with these Rainbow Fibre Optic Lights. 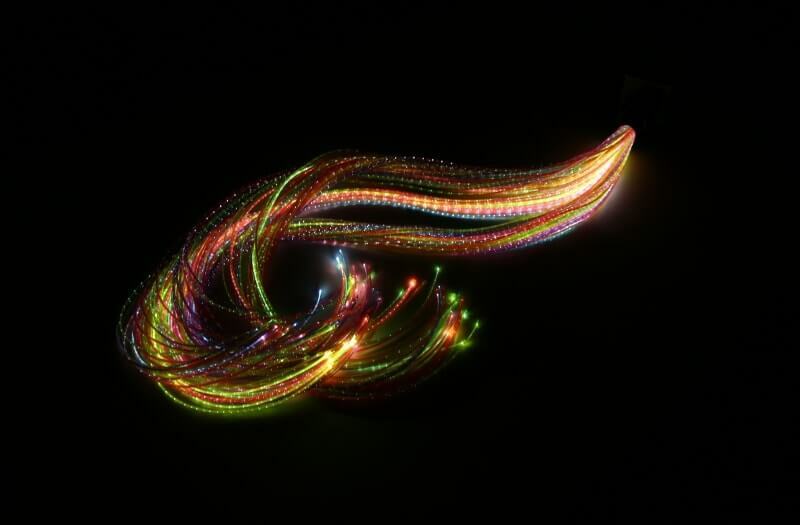 With the portable battery option, you can take your fibre optic lights anywhere you wish for a perfect ‘on the go’ sensory option. What voltage is the Lightsource? 12VAC or 12VDC Mains Powered, 7.2VDC Battery Powered. How do I charge the battery Lightsource? The battery Lightsource will come with a supplied charger. Plug the charger into a mains socket, before turning it on at the switch connect it to the Lightsource then press the mains switch. The battery charger will illuminate red to indicate charging. Once the Lightsource is fully charged the LED on the battery charger will turn green. PLEASE NOTE that the Lightsource will not work whilst being charged. We recommend charging for approximately 4 hours to be fully charged. 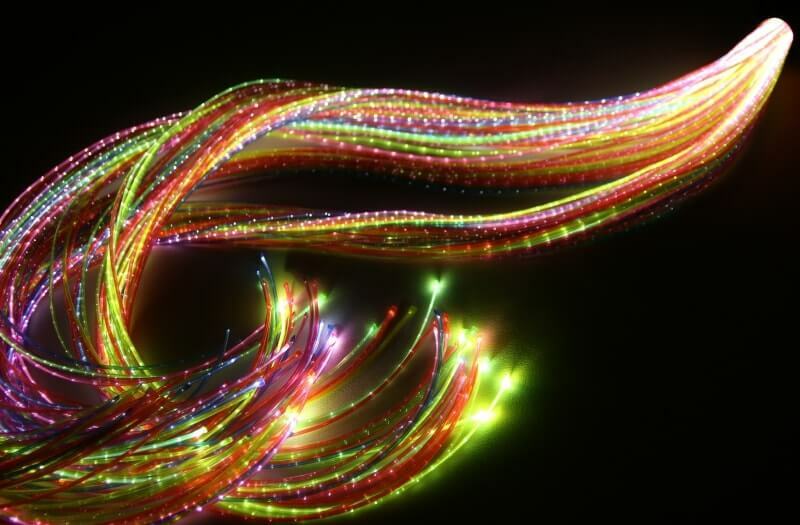 Can your Lightsource work with any fibre optic strands? Yes, our Lightsource collar is 30mm in width. This is the standard size for fibre optic strands. How long does the Battery Lightsource last? The Battery Powered Lightsource will last around 4 hours. Yes, very safe! The strands are made of a phthalate-free plastic. They carry no heat or electricity. Do I have to change any bulbs in this product? No, as we use LED technology which lasts a lifetime. How long is the power supply cable? 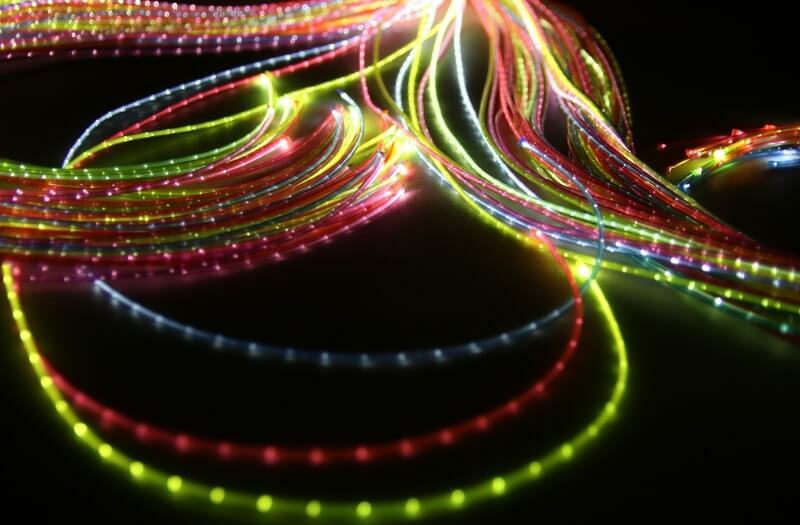 The Smaller Power supply used for LED products is 1.5M in length.